This is Yui Third album. I have waiting for it for a long time. Check this album out. I hope u will like this album. Dateline of submitting thesis and assignment is coming close. I really don’t have enough time to listen or look for song. Hope i can finish everything as soon as possible. 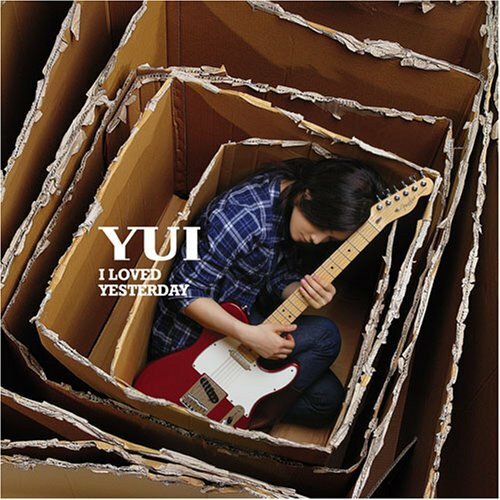 This entry was posted in Music, YUI and tagged album, direct download, download, I Loved Yesterday, I Loved Yesterday album, j-pop, Laugh away, laugh away ビデオ, laugh away mp3, laugh away pv, YUI, yui - I Loved Yesterday, yui ビデオ, yui pv by mofandom. Bookmark the permalink. Yui! Ha =) saw her the other day on Music Station! She look…weird. But her singing is okay. Good to hear her latest album is out. Yeah Chris. She is always okay with her song. I mean she still as usual can sing very well.